October 30, 2014, New York – Fashion One’s original design-based reality competition, Design Genius, is set to premiere its second season this November. The premiere fashion, entertainment and lifestyle international broadcaster introduces 9 talented emerging fashion designers from around the world gathered together with one goal in mind: to be crowned the new fashion prodigy and win the title of 'Design Genius'. Renowned celebrity stylist and TV presenter, Kalee Hewlett, will be this season’s host judge, whose fashion expertise will be influential in determining the winner. Joining her in the panel is Britain’s Top Designer recipient and brand ambassador, Matthew O’Brien, and celebrity fashion and costume designer for Lady Gaga, Lisa Clayton. Design Genius is a 6 episode series that challenges designers to push their creativity and skills by making something unimaginable fashionable. In each episode, three designers are surprised with three unconventional materials such as baby bottles, LEDs and even a sparkling Christmas tree plus a surprise element that they need to incorporate within their design. Using only the items provided, they must create an accessory, undergarment, and wardrobe to create an over-all vision. This season’s contestants hail from the UK, Australia, Malaysia, Hong Kong, Germany, Ireland and the Netherlands, adding an interesting diversity to the design process. With crippling time constraints, obscure materials and unpredictable inspirations, designers will battle it out and find their design skills pushed to the limit. Aside from the recognition as “The Design Genius,” the winner will also receive a cash prize worth $20,000. "Design Genius encompasses a unique concept that pushes designers to their creative limits. Viewers can expect to see tension and friction between the contestants, working in such close proximity with each other adds pressure to the contest. For an emerging designer, the prize money and the title of Design Genius could be just the start of a life changing experience and an exciting and successful career," expresses host judge, Kalee Hewlett. "Design Genius is a fashion-packed competition that challenges versatile fashion designers to create original and innovative clothing and accessories set on a higher level of difficulty with the introduction of the unconventional material element as their main component to work with,” remarked executive producer, Ashley Jordan, “The network will continue to create engaging and captivating programmes that showcase up and coming local designers and provide these talents worldwide exposure through our network." Design Genius Season 2 will air on November 20, 2014 and will be shown every Thursday at 21:30 (GMT+8 for Asia / GMT+2 for the rest of Europe), exclusively on Fashion One, FO, and Fashion First. Check your cable operators for your local TV channel listing. Design Genius is a part of Fashion One’s original programming, created by executive producers, Michael Gleissner and Ashley Jordan, with Nichole Millikan as this season’s series producer. 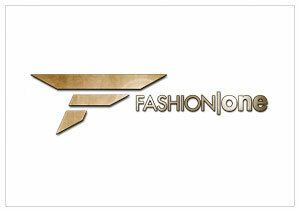 Get to know more about Design Genius by going to www.designgenius.com or follow Fashion One on twitter @fashionone and “Like” us on Facebook www.facebook.com/fashionone. As soon as the competition started, the designers are already going gaga and googoo over their challenge. It’s a baby’s day out, as these young guns are required to create a complete ensemble made from baby items. There might be bottles and cuddly bears in the set but it’s definitely no child’s play. Care to lend in a green thumb? The designers will need it on this challenge. Send out the hose and rakes as our mavericks turn them into pieces of wearable fashion. Let your imagination run wild and inspiration grow in one of this shows most formidable tasks. It’s halfway in the quest to become the next Design Genius. How much do our contestants want this? What are they willing to trade? Good thing we are going to the pawnshop for our materials. Will our designers make a good deal with their creations or will they turn over their jacket and go home with a bust? Fashion and technology is an emerging trend this year and our designers will be tested on how they will fair in this arena. It’s not just about the aesthetics, but its functionality in the design must be considered in making their garments. With the finale only a step away, this is going to be an exciting battle you wouldn’t want to miss. Let the spirit of the season inspire our designers on their final challenge that will determine who will be the ultimate Design Genius. Christmas trees, presents, decorations and everything merry will be their keys to success. Who gets the prize and who will go home with only a sock full of coals?